According to the American Heart Association, blood pressure is the force of blood pushing against artery walls. When you have high blood pressure, it means that tension in your arteries is higher than what it should be. 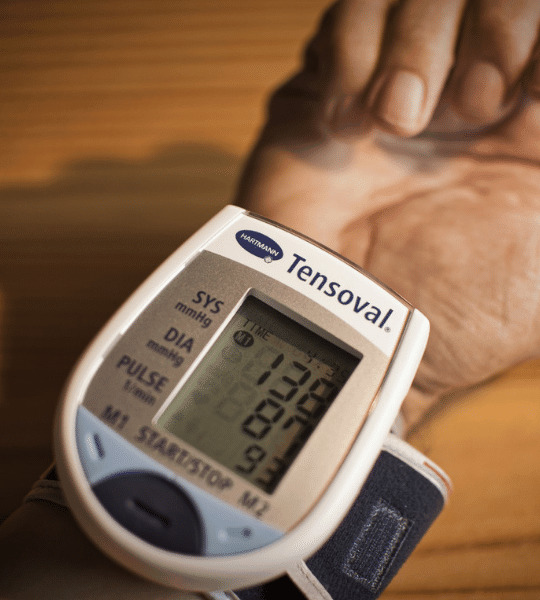 The average blood pressure for adults is 120/ 80 mm. 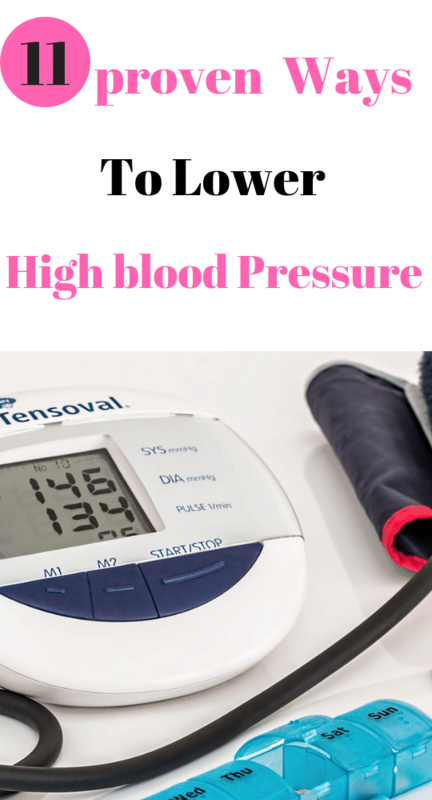 If the blood pressure exceeds 130 for systolic/top number and the lower number diastolic is above 80, then you could be suffering from high blood pressure. Your blood pressure determines the amount of blood your heart pumps and how much this blood is restricted as it flows through your arteries. When your arteries are narrow, then it can be hard for blood to circulate freely compared to when your highways are wide. 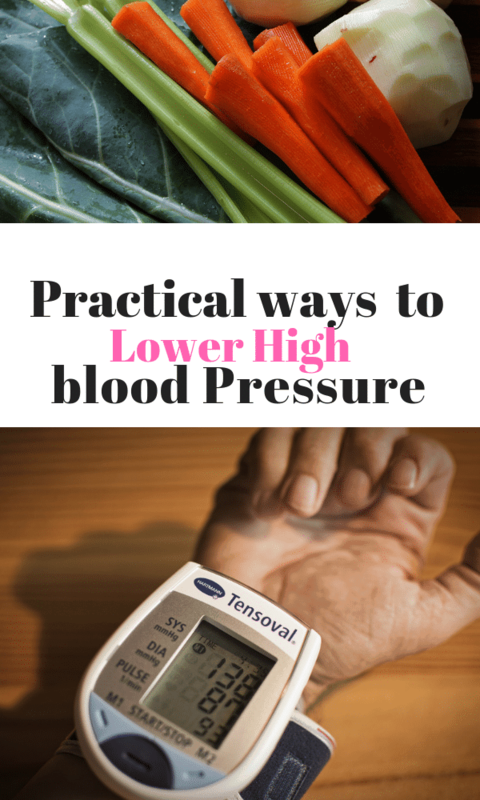 There are various practical ways to lower and even reverse high blood pressure. These mainly involve a change in your lifestyle approach. Eating healthy food with lots of fresh vegetables and fruits can reduce high blood pressure. Vegetables and fruits have high contents of potassium and fiber but are low in calcium. Avoid processed, refined and sugary foods high in saturated or trans fats. Foods high in saturated fats include butter, red meat, white flour, flavored drinks and chicken with skin. 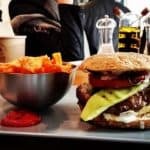 Too much protein and fat thicken your blood which results in blood viscosity. This makes it hard for blood to pass through your arteries hence forcing your heart to work hard to push it through. These foods contribute to weight gain and obesity which are among the causes of high blood pressure. Avoid packaged or ready prepared foods because they usually contain a lot of salt, sugar, and fat but lack fiber. If possible make your meals preferably from scratch as this will help you know the ingredients you add to your foods. Replace refined sugars with natural sweeteners like honey, refined flours with whole grain flours and trans fats with plant fats such as fat from seeds or nuts. Healthy eating is key to living longer and even reversing diseases such as high blood pressure. Many Studies have shown that a change in diet can improve and also prevent high blood pressure. A reduction in weight can by far lower elevated blood pressure. Did you know that as your weight increases so do your high blood pressure? Losing a few pounds can help, and it can also contribute to other health benefits such as a reduction in your cholesterol. You can successfully reduce weight by eating a diet low in saturated fats. Reduce or eliminate the consumption of fatty, greasy and oily foods. Such foods add fats to body tissues. As you lose weight, you will notice that your blood pressure reduces too. Trying to avoid highly processed or refined foods because they tend to have much fat. Buy organic or less processed foods. They are nutrient dense and have less fat. Refined grains are also high in the glycemic index hence can contribute to weight gain. Go for whole grains instead. 3. Increase your daily exercise. A continuous aerobic exercise routine for 30-150 minutes daily can help lower elevated blood pressure. Exercise helps to reduce arterial resistance and strengthens your heart’s ability to pump blood which helps lower pressure in your arteries. Regular physical activity is generally good at promoting your overall well being too. Start with simple exercises like walking and continue from there to active ones such as running or weight lifting to boost your metabolic rate and your heart’s resistance. Most Americans eat more salt than the recommended amounts according to CDC. The recommended amount is 2300 mg a day but should be at least 1500 mg a day for people with high blood pressure. Too much salt causes an increase in the amount of sodium in the blood. This can damage your kidneys over time. Studies show that a diet high in sodium contributes to an increase in high blood pressure, heart disease, and stroke. Sodium contributes to an increase in water retention and impedes the ability of your kidneys to remove it. The excess fluid puts extra strain on your arteries, heart, and kidney which result in elevated blood pressure. Raised pressure caused by eating too much salt, can damage the arteries leading to the brain. This can cause a reduction in the amount of blood and oxygen reaching the brain which can cause dementia or stroke. Avoid foods that have high amounts of sodium such as processed or cured meats. Take time to read product labels to ensure that you are not buying products with too much sodium in them. Avoid adding table salt to your meals as this tends to double your salt intake. Learn to eat foods with little to no salt and go for the unsalted snacks if you must have them. You can as well use other salt alternatives like garlic or lemon to flavor your meals instead. 5. Eat foods high in potassium. Foods high in potassium are vital for managing high blood pressure. Potassium foods help lessen the effects of sodium in the blood. As you eat more potassium foods, more sodium is released out of the body. Therefore, high blood pressure patient should increase their potassium intake. If you suffer from any kidney disorder, you should limit your intake of potassium foods or take these foods under the supervision of a doctor. Too much potassium build up in the blood can be very difficult for the kidneys to remove. Talk to your doctor who will determine whether you should add potassium foods to your diets or not. Do not take any potassium supplements before consulting with your doctor too. Foods that have high amounts of potassium include; avocados, green leafy vegetables, molasses, peas, tomatoes mushroom, and beans. Smoking affects your health in many ways. Nicotine not only increases your high blood pressure but your heart rate too. Excessive smoking or too much exposure to cigarette smoke is dangerous. Cigarette smoke can contribute to a buildup of fatty substances called plaque in your arteries and cause other health problems. These fatty substances can cause blockage in your arteries, hardening their walls and making them narrower. The blockage can increase your blood pressure and your chances of developing a heart attack or even stroke. Avoid smoking or exposure to any forms of secondary smoke too. If you are having trouble quitting, then you should talk to your doctor about getting help. A 2006 study found that drinking alcohol increases your risk of developing cardiovascular disease irrespective of the type of alcoholic beverage you take. In addition to developing hypertension, alcohol consumption can contribute to weight gain and damage to your kidneys making them less effective. Alcohol can interfere with the potency of some blood pressure medications too. 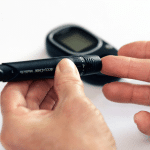 It can make some blood pressure medications ineffective or it can intensify their side effects. It may as well interact with some prescription drugs and natural remedies which can lead to other complications. Do not take alcohol with your prescription drugs. Discuss with your doctor if it is safe to use a given medication with alcohol. Avoiding or cutting back on your alcohol consumption can help reduce your chances of developing high blood pressure. Stress can cause a temporary increase in your blood pressure levels. Your pressure will normalize once your fear or anxiety goes away. Unmanaged or prolonged stress can as well contribute to unhealthy habits such as smoking, poor eating habits, and drinking. These habits can cause or increase your risk of developing elevated blood pressure. Learn different stress management techniques to help you manage and control your stress. Caffeine being a stimulant increases the activities of the central nervous system. The increase in activity can increase your heart rate and cause the constriction of your blood vessels. An increase in your heart rate may go away once the effects of caffeine are reduced. Not everyone experiences these changes after drinking coffee though. If you suffer from hypertension and experience an increase in your pressure, maybe you should stop until it is under control. Coffee has other health benefits such as its high antioxidant levels which are beneficial to the heart if it is drunk in moderation. Too much can increase your heart rate and elevate your pressure. Lack of enough sleep can impede your body’s ability to regulate stress hormones which make every system in your body to be overworked. It increases your heart rate and can elevate your pressure. Studies show that sleeping less than six hours a night can increase high blood pressure. Sleep naturally slows your heart rate, rejuvenates your body and helps it regulate hormones. Try to get enough sleep and asses your sleep habits. Probably your hypertension could be as a result of lack of enough sleep. 11. Take your medication and monitor your blood pressure. Not taking your medications when your pressure is high can be dangerous. Take your medicines as instructed by your physician to improve your health. You should only stop if asked to do so by your doctor. Monitor your pressure daily to ensure that your readings are within reasonable limits. Do not substitute the information in this content for your doctor’s advice. This information is for education only. Consult with a qualified doctor for more details.